Functional Medicine is an evolutionary step from the practice of conventional chemical medicine because the doctor is concerned with restoring normal function and physiology in your body instead of just covering your symptoms. Functional medicine doctors address the many underlying causes of disease, not the symptoms of disease. Functional medicine is not “alternative medicine;” it is superior, but does not replace short-term symptom management. 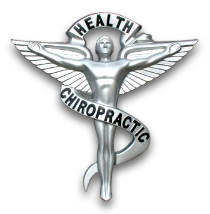 The best functional doctors are licensed drugless practitioners, like the integrative chiropractors. The functional medicine doctor's systematic approach uses a rational, detailed and evolved way of reasoning and understanding about your body and your condition that you may have always wanted in your own doctor: a doctor of the future, available now. The functional medicine doctor in Beverly Hills/Los Angeles, gets to the bottom of your individual condition, to improve your body’s level of optimal function, step by step, from the basic principles of normal physiology up to top performance in athletes. Functional Medicine is not like "wait until you have a disease, then treat the symptoms." The wait and medicate model used in today's standard drug-based practice—where suppressing symptoms with branded chemicals is the major focus, will become the medicine of the past, along with the dinosaurs of Medicine who still use that old-school model of chemical medicine. Functional medicine doctors focus on optimizing your physiology and level of health (biohacking, if you will). These are the same goals we will have for you, when you use our superior functional medicine system instead of just "hiding your symptoms" with chemical agents called drugs. In Beverly Hills, we use a natural medicine, patient-centered focus※ to understand what is contributing to your condition and your symptoms in the first place. your whole body, not a disease." - Dr. Barry Lieberman, D.C., A.C.N. "[Your functional medicine doctor] provides those things that enhance, optimize, and normalize your functioning by balancing your system, rather than treating the symptom." We consider the functioning of your whole body, not just an isolated set of symptoms. Functional medicine doctors in Los Angeles, should spend enough time with you. We definitely do. We listen to you. We understand your health history. We look at the interactions among environmental, epigenetic, and lifestyle factors that can influence your long-term wellness, or contribute to (trigger) chronic disease. This is our specialty. We use functional medicine as a system to support your unique expression of optimal health, as you endeavor to be healthy in an environment like Los Angeles. Los Angeles, CA, and the West are experiencing a sharp increase in the number of people with chronic illness and chronic disease. But to prevent chronic disease in the first place we need the right help, not more drugs. 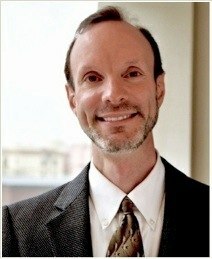 The common chronic disease challenges are: reversing Type II diabetes, preventing forgetfulness / brain fog, preventing cancer, addressing the autoimmune component of hashimoto's hypothyroidism and autoimmunity / leaky-gut, deconstructing IBS, chronic fatigue, heart failure, finding the keys for rheumatoid remission, and many others! The current system of medicine practiced by most physicians is an acute care model. It suits diagnosis and treatment of trauma, or illness of short duration which needs immediate care. Chemical treatments treat the immediate, surface symptom. The common, acute-care approach to medicine lacks the proper methodology and tools for preventing and treating complex, chronic conditions. Unfortunately, in most cases, acute care methods do not assess the unique background of each individual. The presenting symptoms become the sole focus; where blocking or covering the symptoms are the goal. Examples: Skin problems? Treat only the skin. Heartburn symptoms? Treat the symptom, but never what causes the symptom, like aspects of your lifestyle choices, epigenetics and environmental exposures to toxins. Irritable bowel/IBS? Treat with anti-inflammatory drugs, but never investigate why the inflammation is there in the first place. The factors affecting health have a direct influence on the rise of chronic disease today, requiring a second opinion about chronic disease, especially here in Los Angeles. Most physicians are not adequately trained to assess the underlying causes of complex, chronic illness, or to apply strategies such as clinical nutrition, diet, or daily routines to prevent or treat illness. Surgery or drug therapy training do not include these crucial, functional medicine tools. There's a huge gap between current research and the way most doctors practice. It can take up to 50 years for emerging research in basic sciences to be integrated into a conventional doctor's practice—particularly for complex, chronic illness. But a functional medicine doctor can apply current research to meet your needs today. For chronic conditions, and prevention, functional medicine is decades ahead of conventional, industrialized care. Current research can be usable now! How Else is a Functional Medicine Doctor Different? A good functional medicine doctor must understand the underlying multiple origins or causes of disease, and the prevention, and treatment of complex chronic disease. He applies this knowledge instead of just managing or masking chronic symptoms like a conventionally trained MD. A new model that makes chronic-symptom suppression obsolete! ※ Patient-centered care: the the primary focus in your care revolves around IMPROVING YOUR UNDERLYING CONDITION. This patient-centered focus is very different than fitting you into a disease category based on an unchanging, single diagnosis, and processing you through a high volume, industrialized system of insurance, the hospital, the pharmacy, the surgery center, or the rehab center. Our focus in Beverly Hills is patient-centered care. With functional medicine we promote health beyond just the absence of disease. We use optimal health as our reference point, not disease. By listening to you, and learning your story, we bring you into the discovery and better recovery process. We tailor your care to your body's individual, unique needs. An integrative, science-based healing approach. The best functional medicine doctor in Los Angeles looks at the roots of your condition to reveal your solutions based on current science, not old-school med-school dogma. Your level of health, or your potential degree of illness is based on a complex web of interactions, between physiology (like spinal physiology), and lifestyle. We address both internal (body, mind) and external (physical and environment) factors that affect your optimal functioning level. Integrating traditional diagnostic methods with what are sometimes considered "integrative medicine." systems, you get a focus on prevention through natural medicine, nutrition, diet, and lifestyle. We use leading-edge in-office chiropractic neurology, holistic testing techniques, and the latest lab testing like Cyrex Labs when further tests are indicated. Your recommendations will include combinations of natural botanical whole plant medicines, whole food supplements, modified eating, weight loss programs, integrative chiropractic, biofeedback or stress-management techniques. Now, you have a choice to better control your own health! Dr. Oz likes Functional Medicine too!